Ox tongue in beef gelatine. 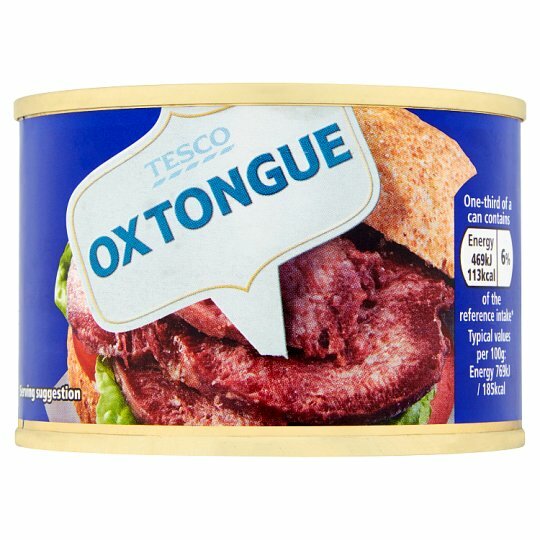 INGREDIENTS: Ox Tongue, Salt, Sugar, Stabilisers (Sodium Triphosphate, Sodium Polyphosphate, Disodium Diphosphate), Beef Gelatine, Antioxidant (Sodium Ascorbate), Preservative (Sodium Nitrite). Store in a cool, dry place. Chill before opening. Once opened, transfer unused contents into a non-metallic container, cover and refrigerate. Consume within 2 days.